Boston Whaler doesn't make this sweet little boat any more. I have added a new skedge, re-fiberglassed where needed and painted it white with bikini blue interior. There are four oarlock sockets. This little classic looks so good in the water. Do your research and you will see this is a very fair price. 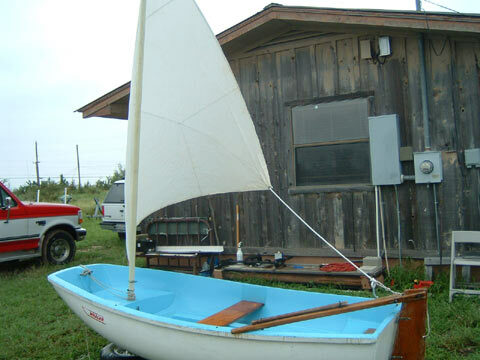 You can row it, mount a 4 hp motor, trolling motor, or sail it. 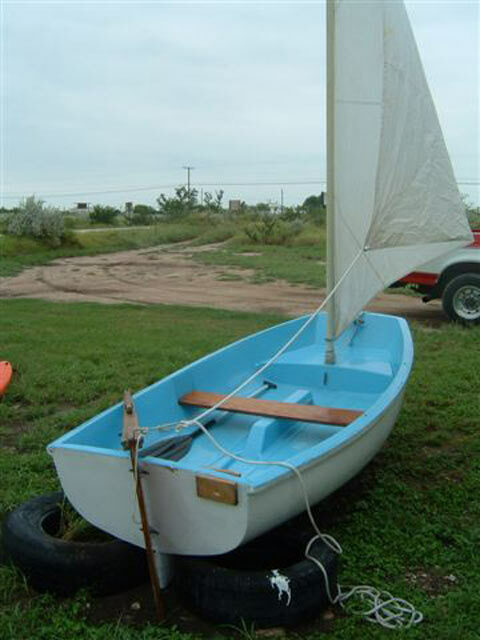 Trailer and sailkit available, can deliver 200 miles. 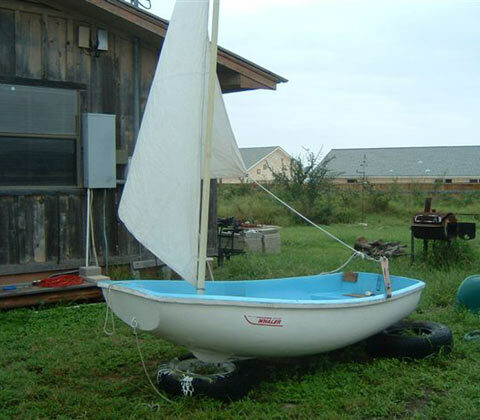 Thanks I sold the squall a with trailer for $l,l50. Now i need a small cheap trailer.